Thanks to a fairly reliable industry source, Jessica Chastain's mysterious role in X-Men: Dark Phoenix may have been revealed and it's a lot more sinister than you might've been thinkking. Check it out! According to his sources, which have a pretty solid track record, the 2x Academy Award-nominated actress isn't playing either Veranke the Skrull Queen or Shi'ar Empress Lilandra, but may, in fact, be playing classic X-Men villain Mister Sinister - or, well, more likely, Miss Sinister if you're familiar with the comics. While Sneider was unable to provide further details, Chastain has previously described her character to Entertainment Weekly as "an otherworldly shapeshifter who influences Jean Grey/Phoenix for her own agenda," which is something that falls very much in line with Claudine Renko, a.k.a. Miss Sinister, a perfect genetic clone of Nathaniel Essex, whose powerset includes cellular shapeshifting, amongst other things. This would also help explain Chastain's radically different look and motivations against Jean Grey and Charles Xavier. In addition to starring as Wade Watts in Warner Bros.' Ready Player One, Tye Sheridan is also set to reprise his role as Scott Summers/Cyclops in Fox's X-Men: Dark Phoenix. Following a lackluster reception to X-Men: Apocalypse, Fox has high hopes for this next installment in the X-Men franchise, which features the emergence of Jean Grey as Phoenix. While the studio previously attempted - and botched - the telling of the Phoenix story arc, the cast and crew have apparently taken a completely different approach this time, according to Sheridan. "Everyone was on the same page with the idea that we were approaching it as much more of a grounded drama versus a superhero movie," Sheridan told Collider when asked about the movie's tone. "Something that’s getting old with those universes and all the Marvel movies is that they all look the same and they’re all doing the same thing," he continued. "We really wanted to shake it up, in that sense, and take a different approach to this. Simon Kinberg, who wrote the past three X-Men, directed Dark Phoenix, and I’m super, super excited about it. I think it will turn out well and that it will be a different X-Men than we’ve ever seen before, so that’s exciting." Without having seen a trailer, it's unclear just how much Dark Phoenix will deviate from the prototypical superhero movie, but Sheridan's comments are intriguing nonetheless. Originally set for release on November 2 of this year, Fox recently delayed X-Men: Dark Phoenix to February 14, 2019, without citing a reason. According to sources, the delay was due to reshoots which will apparently focus on reworking the film's third act. It's normal for all these big movies now. We'll go back when we can get all those actors together, and then it will give me enough time to have it ready and looking perfect. So, according to Simon Kinberg's take on the situation in his remarks to EW, it sounds like we shouldn't necessarily worry about the reshoots that are occurring for X-Men: Dark Phoenix. Reshoots have become relatively common in the blockbuster scene (they happen on everything from Rogue One: A Star Wars Story to Justice League), and they're generally built into the production schedule as a way to fine-tune a film's overall story and look. Some reshoots do entirely overhaul movies and take them in different directions, which was the case with World War Z and reportedly might be the case with The New Mutants. But Kinberg seems to suggest that Dark Phoenix's reshoots were more cosmetic in nature. Of course, while Simon Kinberg is definitely right, and reshoots are definitely part of the filmmaking process, it's still worth considering the number of changes that have taken place in the X-Men franchise in recent months. Specifically, we already know that The New Mutants and X-Men: Dark Phoenix have both been delayed to August 2, 2019 and February 14, 2019, respectively. With such massive delays occurring for both of the upcoming mutant films, it leaves us wondering what type of creative overhauls have taken place in the X-Men world as the franchise has evolved. All of this points to the fact that we still don't know much about X-Men: Dark Phoenix. As the name suggests, we know that it will adapt The Dark Phoenix Saga and that it will carry on the story from X-Men: Apocalypse by moving the story forward into the 1990s. Beyond that, few other concrete details have surfaced, so we will have to wait and see what Fox shows us when the first footage finally drops. With all of that in mind, CinemaBlend will bring you more information related to X-Men: Dark Phoenix as more details related to the film are made available to us. Dark Phoenix will premiere on February 14, 2019, but for now, you can catch Deadpool 2 when it hits theaters later this month on May 18. 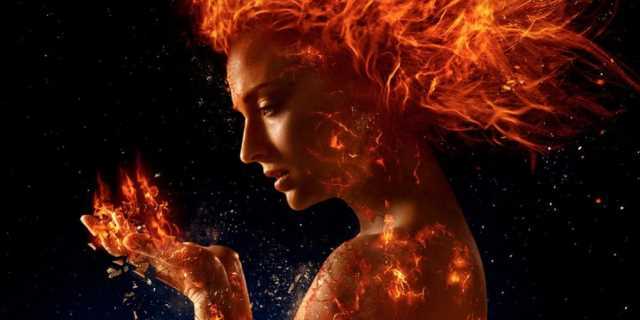 X-Men: Dark Phoenix writer-director Simon Kinberg promises that the movie will less operatic and more grounded compared to past X-Men movies, which might be strange considering that the film adapts Chris Claremont's The Dark Phoenix Saga. The cast and crew of X-Men: Dark Phoenix seem pretty confident of the film. 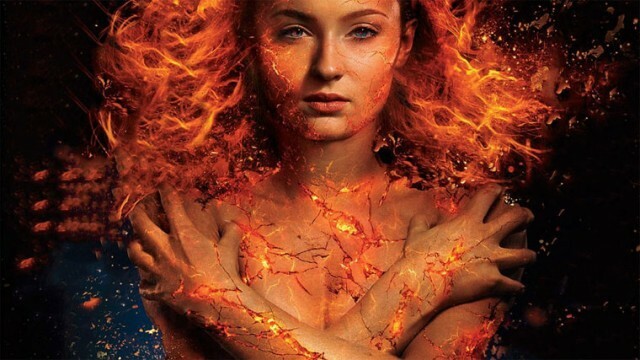 Sophie Turner, who plays Jean Grey, has gone so far as to suggest the movie will "revolutionize" the superhero genre, which her co-star, Tye Sheridan (aka Cyclops), agrees with, though he suggested that Dark Phoenix is more of a drama than a superhero film. And now, the creative mind behind the film is emphasizing that very point. ET got the chance to speak to Simon Kinberg at the Deadpool 2 premiere, and he agreed with his stars' assessments. Kinberg promised that the tone would be "a little less operatic" than the other X-Men movies. Morever, he said that the movie is "more intense, and it's more real and grounded, and hopefully more relatable." Those comments certainly make sense. At heart, the comic book story of the Dark Phoenix Saga was a tale of love and loss. Kinberg has already confirmed that the troubled Cyclops and Jean Grey's relationship will be a significant part of the movie. The film may be grounded in an emotional sense, but it will still see the X-Men step on to the cosmic stage. "It's much more loyal to the original comic than X-Men 3, which told the Dark Phoenix story," Kinberg noted. "It's a movie that involves extraterrestrial characters, which is not something that we've done in the X-Men franchise before, and is something that is a huge part of the Dark Phoenix saga in the comics." While fans of the comics will be delighted to hear this assessment, it's not quite clear how Dark Phoenix works in relation to the original comic book plot. When Jessica Chastain signed up, it was initially believed she was playing the part of the Shi'ar Empress Lilandra, which would make sense since the Shi'ar are a central part of the Dark Phoenix Saga. But, Chastain herself debunked that rumor on social media, and her character's identity remains a mystery. Meanwhile, set photos have strongly suggested that the shapeshifting alien race known as the Skrulls are involved in the movie. They played no role at all in the Dark Phoenix Saga, so it's hard to see how Kinberg can claim this plot is "much more loyal to the original comic." Ironically enough, for all comic book lovers are used to envisioning the Phoenix as a cosmic force, X-Men: The Last Stand was closer to the original comic book run. Chris Claremont envisioned the Phoenix as a "schizoid personality." Years later, Marvel decided to reveal that the Phoenix Force was a separate entity, a retcon designed to let them bring Jean Grey back from the dead. That retcon has firmly established itself in the minds of comic book fans, and Kinberg is likely hinting that his film, the X-Men: Dark Phoenix, will honor it. It seems as if Fox is planning on making a rather significant change to X-Men: Dark Phoenix based on this new poster which has been spotted at the Licensing Show in Las Vegas. 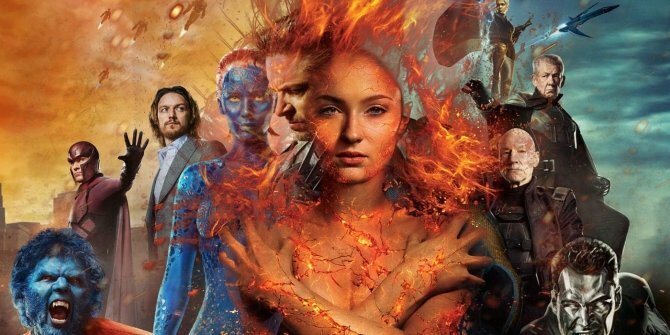 With a new release date in 2019, Fox is clearly holding off on promoting X-Men: Dark Phoenix but a very early promotional poster has been spotted at the Licensing Show in Las Vegas which points to the movie getting a slightly different title. As you can see below, the studio has - for the first time ever - dropped the "X-Men" part of the movie's name and is referring to it simply as Dark PhoeniX. Given how close this movie will be coming out to when the Disney/Fox merger becomes a done deal, there's a very good chance that this has been done deliberately because Marvel Studios will be rebooting the franchise within a year or two of this one hitting theaters. Yes, everyone will know this is an X-Men movie but changing the title will go a long way in separating it from the inevitable reboot. Other than X2, no X-Men movie has ditched the team's name from the title and even that was promoted as X2: X-Men United. What do you guys think of this change and the remarkably bland poster? As always, be sure to let us know your thoughts in the comments section down below. UPDATE: As some of you have pointed out, this altered title was previously used at CinemaCon but this is the first time we're seeing the poster and the whole Dark PhoeniX thing (emphasis on the "X") is definitely new! Here's hoping this change pans out a little better than 2015's Fant4stic Four, eh? Speaking to ScreenRant, Evans said that the impatient and impulsive Quicksilver has done some growing up since facing off with Apocalypse and officially joining the X-Men. Dark Phoenix is the directorial debut of longtime X-Men film producer and writer Simon Kinberg (though he did direct that X-Men cameo in Deadpool 2). 20th Century has been quite secretive about Dark Phoenix so far. Set photos revealed that the X-Men will get some new costumesinspired by Frank Quitely’s early 2000s designs from New X-Men, and a few official photos offered the first look at several characters from the film, including Jessica Chastain’s mysterious alien character. By now most of you guys will have seen Deadpool 2, but we didn't want to ruin one of the sequel's funniest moments just in case! Early on in the Merc With a Mouth's second solo outing, we get a very brief glimpse of several members of the X-Men as Wade is ranting about how he only ever sees Colossus and Negasonic in the mansion. 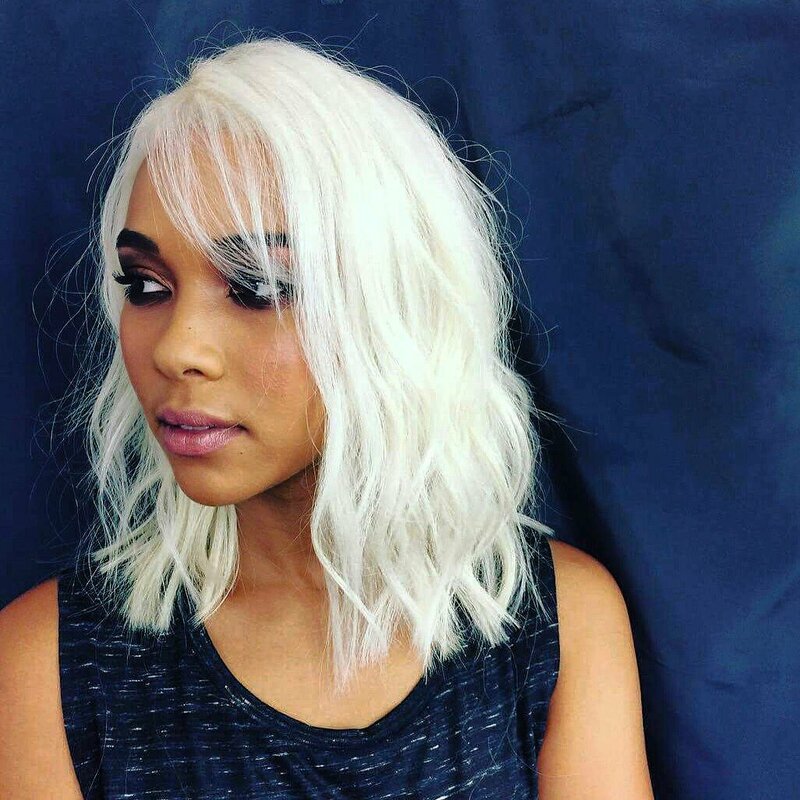 The characters most people seemed to spot right away were Beast, Xavier and Quicksilver, but Storm is also present, and actress Alexandra Shipp has now shared a photo of herself in-costume, as she appears in the movie. As you can seem Ororo is sporting a very different hairstyle to the last time we saw her in X-Men: Apocalypse. Will her new look carry over to Dark Phoenix? We'll find out next year. Last edited by JDLM; 2018-06-01 at 07:53 AM.. If you were one of the many X-Men fans that took issue with 2016's Apocalypse, it sounds like the folks in charge of the franchise have heard your cries, and the upcoming X-Men: Dark Phoenix will be vastly different from its predecessor. Evan Peters, who portrayed Quicksilver in both X-Men: Days of Future Past and X-Men: Apocalypse, is set for a third round with Dark Phoenix. During an interview with Collider, he noted that, this time around, things feel a lot different, and the vibe is closer to First Class than any of the other X-Men installments. “I think it’s the classic X-Men: First Class tone, where there’s a bit of humor thrown in there, but it’s much darker than the previous one, Apocalypse," Peters said. "Apocalypse was the ‘80s, so there was a lot of room for goofy stuff in there. This one is a much more serious film about the internal struggle of Phoenix and Jean, so it’s a dramatic film. There’s nothing very comedic about it, other than the few moments that are in there. I think it’s gonna be a powerful one. It’s Dark Phoenix. I think it’s gonna be darker than we’re used to. It’s gonna be a change, but it’s gonna be fun for everybody." This positive shift in tone could be due to first time director Simon Kinberg, who has spent years producing the X-Men franchise. "Awesome! It was incredible," the actor said of his experience with Kinberg. "He was very prepared and he knew what he was doing. He’s surrounded himself with a great team that’s been there for years. Everybody knows each other. It was a great environment for him to step forward. He knows the characters and story better than anyone because he wrote it. I think it was easy for him and it was very calm. It’s always been a fun experience, but it was also a calm experience, this time around, which was a relief. I’m sure there was a lot of pressure on him, but he’s such a nice guy and so cool. You didn’t see him being stressed or nervous, at all, on set, so it was very cool." Are you excited to see the X-Men franchise get back to the tone it achieved with First Class? Will Dark Phoenix be a move in the right direction after Apocalypse struggled? Let us know what you think by dropping a comment below. 'X-Men: Dark Phoenix' is About "Who Your Real Friends Are"
X-Men: Dark Phoenix will explore the relationships of Jean Grey and her surrounding mutant characters. Quicksilver actor Evan Peters opened up about the next X-Men movie, promising the dynamic between the characters and respective cast members will play a key role in the film. "I think the title kind of says it all: it’s a little bit darker and it’s a little bit more of a drama," Peters said. "It’s really about Phoenix and Jean's inner-struggle and how that pans out, and who your real friends are. Who’s helping you through these difficult times? So it’s really about that and it’s about the X-Men family, and I think it’s a serious film." With the film slated for re-shoots later this year, Peters will be very much a part of the production's extra effort. “No, I'll be going back, I think," Peters said. "I’m not sure when or for how much, but I’m excited to get back in there and do some more stuff, it’ll be fun." How much of an impact the re-shoots have on the film won't be entirely transparent but will certainly lead to endless Internet speculation when the film debuts in theaters. X-Men: Dark Phoenix was originally slated for release in late 2018 but as a result of the creative changes was pushed back several months. Dark Phoenix is the directorial debut of X-Men franchise producer and writer Simon Kinberg (though he did direct a scene in Deadpool 2). 20th Century has been quite secretive about Dark Phoenix so far. Set photos revealed that the X-Men will new costumes inspired by Frank Quitely’s early 2000s designs from New X-Men. A few official photos were released to Entertainment Weekly, offering the first look at Jessica Chastain’s mysterious alien character. Besides that, all fans have had to go on is what little the film’s cast has had to say. Deadpool 2 is currently in theaters. Other Fox-owned Marvel films coming up include X-Men: Dark Phoenix on February 14, 2019, Gambit on June 7, 2019, and The New Mutants on August 2, 2019. With all the news floating around relating to FOX and Disney, you would almost forget Dark Phoenix is even coming out. Originally, it was supposed to drop in theaters this November, but now it's slated to release on February 14th, 2019. Putting that aside, it seems the first trailer has debuted at CineEurope tonight, and, as far as we can tell from the somewhat rough translation, the footage suggests that the movie will have a lighter tone than we'd been led to believe it would. Here's the initial reaction from Kinometro writer Artur Chachelov. There hasn't been any word on when the official trailer will release online, but hopefully we'll hear something soon. Newly revealed X-Men: Dark Phoenix theater merchandise offers X-Men fans a better look at the new X-Men uniforms debuting in the film. As set photos previously revealed, X-Men: Dark Phoenix is introducing new X-Men uniforms that resemble those designed by artist Frank Quitely for the early 2000s New X-Men comic book series, which was written by Grant Morrison. The video above reportedly reveals new merchandise featuring those same costumes. The video begins with a poster that appears to be fan made, but the remainder of the video shows four theater drink toppers resembling three key X-Men characters in their new black and yellow costumes - Beast (Nicholas Hoult), Jean Grey (Sophie Turner), and Cyclops (Tye Sheridan - and the X-Men's signature aircraft, the Blackbird. Take a look above. Fans are still waiting for the first official footage from X-Men: Dark Phoenix to be released. So far the only promotional material that has been released is a few photos. Some footage did debut privately at the CineEurope trade show and an online response suggested that the film looked to be shaping better than many had suspected given how shy 20th Century Fox has been about the movie and the fact that the film has been delayed multiple times. The most recent round of delays was reportedly in order to allow time for reshoots while still accommodating the schedules of the film's busy stars, such as Sophie Turner, who had to film the final season of Game of Thrones. Reactions to the footage suggest X-Men: Dark Phoenix will have a darker tone than X-Men: Apocalypse, which is something star Evan Peters, who plays Quicksilver, seemed to hint at as well. Are you excited about X-Men: Dark Phoenix? Let us know in the comments! X-Men: Dark Phoenix will be redesigning the mutants again, a move that's strange given their top-notch new costumes at the end of X-Men: Apocalypse. A recent video has provided a close look at the film's new X-Men costumes, with Cyclops, Jean Grey, and Beast wearing what's clearly meant to be a team uniform; a black bodysuit with a distinctive yellow "X" on the chest. Apocalypse's end scenes featured the X-Men donning individual costumes for the first time in the history of the X-Men movies, and those designs were generally appreciated by even the film's detractors. This shift in approach will seem like something of a step back. The traditional superhero costumes from the end of X-Men: Apocalypse were a marked departure from the dark leather looks that had dominated the films to date, all clear homages to classic costumes worn by the different X-Men. Cyclops and Jean Grey's were particularly distinctive, evocative of Jim Lee's famous designs. Those costumes are essentially symbolic of the '90s X-Men era, and when Fox announced that X-Men: Dark Phoenix would be set in that decade, it seemed reasonable to assume this style of costume would be sticking around. Instead, Fox has taken something of a step backward, returning to a variation on their traditional "team" look. In-universe, the argument is probably that the team uniform has turned into something of a brand; in X-Men: Dark Phoenix, the X-Men have apparently been embraced as a team of superheroes, and are actually celebrated by the world's governments. So the team uniform is understandable. But, frankly, it's bland. It's also a strange decision, given the Morrison and Quitely designs are associated with the 2000s, not the '90s. What's more, for as much as the Morrison era may have been successful in terms of comic book sales, it remains controversial among X-Men fans to this day. The decision to adopt these costumes means X-Men: Dark Phoenix is perfectly positioned to take flak over the costume designs. When Fox first launched the X-Men franchise, the studio assumed audiences wouldn't respond well to all the classic comic book tropes. After all, the whole genre was still struggling to recover from 1997's Batman and Robin. The first X-Men film even lampshaded the fact the movies were trying to be a little more grounded, with Cyclops mocking Wolverine and asking if he'd prefer "yellow spandex" to the film's leathers. It's possible Fox made the right call at the time, but Hollywood has undeniably moved on. The superhero genre is now bigger than ever before, and the success of the MCU has proven that traditional, comic-book-style outfits are no barrier for modern viewers. Those distinctive costumes at the end of X-Men: Apocalypse were seen as a step forward for the X-Men franchise, an acceptance that the world is now ready for a real mutant superhero team. It's truly disappointing to see Fox abandon that approach for X-Men: Dark Phoenix and instead go for a look that was in itself inspired by their own movies. Hopefully, that's not indicative of the whole movie. Has Fox Removed X-MEN: DARK PHOENIX From Its Release Schedule? Simon Kinberg will make his directorial debut with Dark Phoenix but problematic test screenings reportedly resulted in Fox ordering significant reshoots, something which may not bode well for the movie (bear in mind Kinberg is said to have helmed Fantastic Four's reshoots with disastrous results). Now, speculation is mounting that Fox may have pulled the movie from its release schedule altogether because it's disappeared from their website. It could be a glitch, an error resulting from Dark Phoenix being pushed back from November to February, or nothing whatsoever. However, it's also feasible that with the Disney/Fox merger on the horizon, something strange could be going on with this one. Fox could have decided to pull the plug on the movie because it's not working or there may be so many problems with Dark Phoenix, it's going to be delayed again. Something which is also odd is the fact the studio won't be bringing the Marvel Comics adaptation to Comic-Con despite the fact a teaser trailer really should be ready to go by this stage. What do you guys think? Share your thoughts below. Twentieth Century Fox did not pull X-Men: Dark Phoenix from the studio's site, or the X-Men Movie Universe release schedule. Fox's X-Men movie universe has been somewhat in a state of flux in recent months. Originally, three X-Men movies were set to release in 2018 - New Mutants, Deadpool 2 and Dark Phoenix. However, the release dates for Dark Phoenix and New Mutants were pushed to 2019, with reports indicating each would undergo reshoots. To make matters more complicated, the deal in which Disney will acquire Fox's movie and TV assets is continuing forward, causing fans to speculate about the future of the X-Men cinematic universe as we know it now. In terms of what's going on with New Mutants and Dark Phoenix, there may be more confidence in the former because Fox has at least released a trailer. The New Mutants trailer debuted in October 2017, but that was when the movie was expected to hit theaters in April of this year; now it won't release until August 2019, after Dark Phoenix in February 2019. However, all we've seen from Dark Phoenix are a handful of images and an EW magazine cover. No other materials - poster, teaser, trailer or otherwise - have been officially revealed, causing fans to wonder and speculate about what's going on with the movie. The latest discussion surrounding X-Men: Dark Phoenix was inspired by fans noticing it isn't listed on Fox's official movies site. Some thought it had been on the site at one point, but had been taken down, a move that might indicate it was removed from the studio's release schedule. However, Dark Phoenix - like some other future Fox movies - was never on the studio site, so it not being listed has no bearing on the X-Men movie universe release schedule. X-Men: Dark Phoenix is still scheduled to hit theaters in February 2019, as of this writing. Further, though Fox hasn't released anything official for Dark Phoenix in a while, there have been non-official glimpses at the movie. Recently showcased Dark Phoenix figures offer a new look at the X-Men costumes, and a Dark Phoenix teaser poster surfaced during the Las Vegas Licensing Expo in May. 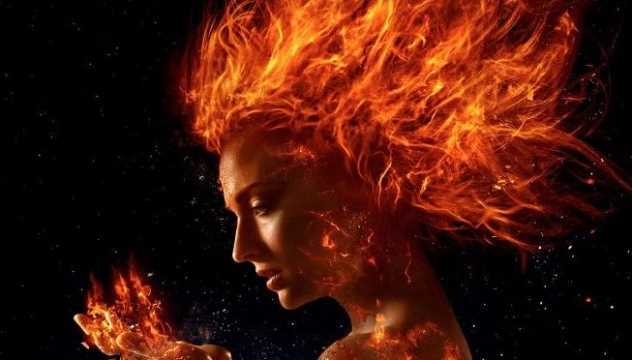 Plus, Fox screened the first Dark Phoenix trailer at CineEurope last month, which earned positive reactions from those in attendance. It's unclear when the Dark Phoenix trailer will be released, especially since the upcoming X-Men movie is expected to undergo reshoots later this year, but fans might get some news soon. Fox will have a presence at San Diego Comic-Con later this month, as it has been reported the studio will showcase The Predator during a panel at the convention. Although it hasn't been confirmed whether or not Fox will bring Dark Phoenix, the fan event is the perfect place to kick off promotion for the X-Men film. Even if Fox doesn't release the Dark Phoenix trailer at SDCC, the studio could bring out the cast for a discussion of the movie and/or perhaps unveil a poster. So, although fans haven't gotten many official updates on the X-Men installment in a while and Dark Phoenix is scheduled to undergo reshoots, Fox is still very much moving forward with the movie and hasn't pulled it from their release slate. Now, with eight months until its release date, we'll likely start seeing more from X-Men: Dark Phoenix - especially with SDCC just a few short weeks away. The latest merchandise for X-Men: Dark Phoenix confirms the new costumes the team will wear, which pull inspiration from one of the most critically acclaimed eras in the comics. Fox and the minds behind the X-Men series have taken plenty of liberties with the source material over the years, including the suits the various mutants wear. Over time, there have been nods to classic outfits, with Magneto especially skewing close to the page. It wasn't until the denouement of X-Men: Apocalypse, however, that the films put the team in anything close to their comic book costumes. Back in March, a set photo for X-Men: Dark Phoenix offered our first look at the costumes that will be on display in next year's film. Immediately, it was clear that the creators of the movie were eyeing Grant Morrison's seminal run on New X-Men starting in 2001, which saw Frank Quietly give the team a whole new look. Outfitted in puffy, black, bomber jackets with huge, yellow x's, the design change was a bold one that was part of new editor-in-chief Joe Quesada's move to reinvigorate the franchise. The move worked, as the story that rolled out across eight arcs has defined the modern X-Men universe in the comics. Today, new X-Men: Dark Phoenix figures were revealed as part of the in-cinema merchandise for the movie. They're the first official look we have at the new costumes of the film and confirm the suits seen in the previous set photo. And though nothing has been mentioned regarding the influence of Morrison and Quietly's work, the implications are exciting. Morrison kicked off his story in New X-Men #114 (the numbering continued over from the main X-Men book) by changing a number of things in the universe. Genosha (and seemingly Magneto) was destroyed, Xavier's mansion was changed from a small training facility to a full-blown mutant school (inspired by the previous year's film), and new characters joined the ranks. Emma Frost became an X-Men in her slow shift to a hero, while her clones the Stepford Cuckoos were introduced. The three surviving members of the psychic hive mind became prominent players on The Gifted, which could tease their arrival on the big screen. Characters like Xorn, Quentin Quire, and Casandra Nova were all introduced, adding new psychics to the comics that could factor into the films. Xorn turned out to be Magneto in disguise, an arc that could easily come into play in the movies now that he's viewed as a terrorist. We could see Erik use the ploy to infiltrate the new X-Men team, destabilizing it from within. Casandra Nova, meanwhile, proved to be one of the X-Men's greatest foes as she's essentially a psychic twin of Professor X. The concept may be a bit heady for the films, but with Jessica Chastain cast in an unknown role in X-Men: Dark Phoenix, perhaps a version of Nova will be in the movie. Quentin Quire walks the line between hero and villain throughout his time in the comics, and is currently part of the new West Coast Avengers. But the colorful character (known for his "Magneto Was Right" shirts) would be a great addition to the film. Morrison's run slowly built up Xavier's school as a place packed with inventive and interesting looking mutants. The films haven't explored many non-humanoid characters yet, but X-Men: Dark Phoenix could change that by going in a more gonzo direction. We've already seen a nod to the run in Beast's more cat-like appearance, a result of his secondary mutation. And the Phoenix (and her death) also factored into the story. The X-Men movies always pick and choose from the comics, but with the story of X-Men: Dark Phoenix under wraps, it might be worth looking to New X-Men for some hints of what's to come. Two new fan-made X-Men: Dark Phoenix posters featuring both old and new mutants emerge online. Marking the directorial debut of longtime X-Men films producer Simon Kinberg, the forthcoming superhero film from Fox is said to be more grounded than past films and darker than X-Men: Apocalypse. Not much is known regarding the plot details for the movie as of yet, but as the title gives away, the film will be adapting Chris Claremont's The Dark Phoenix Saga. This will effectively put Sophie Turner's Jean Grey at the forefront as the film tackles her journey in becoming the Dark Phoenix. The fourth film in the new prequel continuity for the X-Men franchise, the movie will see the return of James MacAvoy's Professor X, Michael Fassbender's Magneto, Jennifer Lawrence's Mystique and Nicholas Holt's Beast perhaps for the last time. Admittedly, these ensemble posters are infinitely better than the previously released Dark Phoenix one-sheet that emerged during Las Vegas Licensing Expo back in May. That poster was so underwhelming as it was simply the title of the film (but without the "X-Men" branding) with the iconic X logo at the end on a black canvass. Frankly, it looked too generic, it could've easily been a poster easily made by anyone and not an official Fox release. Despite the disappointing marketing for X-Men: Dark Phoenix thus far, the film still has seven months to go until it hits theaters, which means Fox still has ample time to execute a proper and more compelling promotional campaign for what could be one of their final X-Men movies. Originally scheduled to release this November, the project's roll-out was pushed back three months to February 2019. It has reportedly gone through reshoots that would've cost an additional $10 million and will mainly focus on reworking the movie's final act. Since plot details are still being kept under wraps it's difficult to assume what the reshoots may be about, but if it's for the betterment of the final product, then fans will undoubtedly not oppose. Nailing this big screen adaptation is especially pivotal considering that their first attempt at it was poorly received by both critics and the general viewing audience. [COLOR=rgba(0, 0, 0, 0.5)] After a less than positive reaction to X-Men: Apocalypse, actress Sophie Turner promises X-Men: Dark Phoenix will be quite different from her big debut as Jean Grey in the popular & decades old franchise. Even though it's been delayed until early 2019, there has been a lot of buzz surrounding X-Men: Dark Phoenix thanks to rumors and reports about its planned reshoots, the looming merger between Fox and Disney, and the fact that it is adapting one of the most iconic X-Men stories ever. Despite some questions surrounding the film, Sophie Turner promised that it will tell a grounded and emotional story. These comments obviously don’t reveal any specific plot details, but the star’s mention of mental health problems might lend more credence to rumors claiming there won’t be a separate Phoenix Force entity and that Jean Grey’s dark turn will be similar to what we saw in The Last Stand. 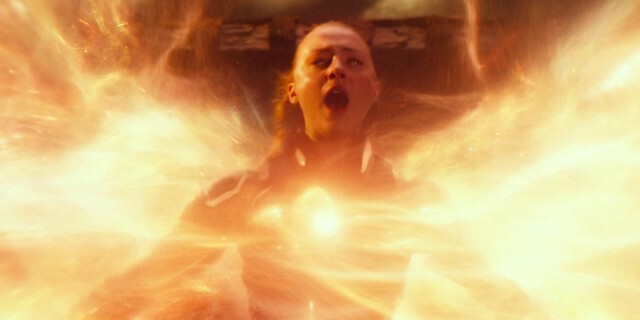 Turner did, however, claim that Dark Phoenix wouldn’t be like X-Men: Apocalypse saying, “It's a movie about struggle and abandonment and not knowing yourself. Yeah, an internal struggling. It's so, so interesting. It's such a departure from the last movie." Yet, the star wasn’t able to reveal much about the scheduled reshoots, for Turner herself is also a bit in the dark when it comes to this subject. If you're worried this means the production is in trouble, it's important to keep in mind that the studio likely wants to keep things under wraps until Turner returns to Montreal for filming. Either way, we may already have an idea of what will be shot, as a past report indicated that director Simon Kinberg will rework the final act and bring changes that aren't expected to be too extensive. A pretty wild rumor that 20th Century Fox may have scrapped X-Men: Dark Phoenix circulated yesterday, but a studio doesn't usually schedule reshoots for a movie they're not planning to release! Revenge of the Fans have reached out to their sources and confirmed that Simon Kinberg and his merry band of mutants are set to return to Montreal next month to begin filming some additional scenes for the film. The reshoots are expected to go on through September, and whole set pieces are reportedly in the process of being constructed for the extra photography . Earlier today we found out that the Disney/Fox deal had officially gone through, so that does make any future X-Men movies featuring this cast very unlikely . However, it seems pretty certain that Dark Phoenix is coming out. X-Men director Simon Kinberg helped make a lot of fans unhappy with his script for X-Men: The Last Stand, which resulted in the deaths of many popular mutants. And after the response to that movie, he reversed those decisions with the time-bending movie X-Men: Days of Future Past. Kinberg spoke about how fan reaction played a part in his storytelling choices for Days of Future Past and how the movie allowed him to correct some of the "mistakes" made in the third X-Men movie, which adapted the Dark Phoenix storyline very loosely. "I co-wrote X-Men 3, the 'Dark Phoenix' story, which is probably the most sacred of the X-Men storylines in the comics," Kinberg said in a roundtable with The Hollywood Reporter. "Fanboys and girls did not love the movie [X-Men: The Last Stand]. When I wrote X-Men: Days of Future Past years later — it was a time travel story — I thought, 'Well, here's an opportunity to rewrite this mistake — bring Jean Grey back to life.' I got to go back and essentially erase a $200 million movie." Kinberg and a group of fellow creators were speaking about fan reactions changing how people tell stories in television and film. He is getting his first shot at directing in the upcoming mutant film X-Men: Dark Phoenix, which will also serve as another attempt at retelling the story of Jean Grey and her relationship with the destructive cosmic deity of the Phoenix. Recent rumors indicated that Kinberg's latest X-movie might be cancelled altogether. Those reports cropped up after the film was pushed back from its November release date to February of 2019. The delay was substantiated with word of reshoots, which had to accommodate Game of Thrones star Sophie Turner. Her character of Jean Grey is vital in the new film, and she could not participate in reshoots until her Game of Thrones obligations were fulfilled. But recently, rumors came up after the Disney purchase, with a message board poster anonymously saying Fox was cancelling the movie in the wake of the Disney purchase because it was turning out much like the Fantastic Four reboot. If you were one of those Marvel fans worried about X-Men: Dark Phoenix now that 20th Century Fox has been acquired by Disney, you can breathe easy. It's been revealed that X-Men: Dark Phoenix is not only still being released, but is heading back to Quebec, Canada, for three months of reshoots. "A surprise makes possible this new record of foreign shootings: the additional scenes of the film X-Men: Dark Phoenix. Initially, X-Men thought they would have to spend two weeks in Montreal to finish the film shot in the metropolis last summer. However, the team of X-Men will return, rather, for three months. 'They are returning [to shoot] the last part of the film. It's a nice surprise,' says Pierre Moreau. The stars of X-Men - Jennifer Lawrence and Michael Fassbender are in the credits of the film - will settle [for] three months in Montreal. Filming will take place in MTL Grandé studios rather than in MELS Studios, where X-Men is shooting. The MELS studios, owned by Quebecor, were already reserved for another production. This situation shows the advantages for Montreal of having a second major shooting location. MTL Grandé opened in early 2017. 'It's a good thing we have two studios. We would not have been able to accommodate [additional scenes of X-Men] without this additional ability. Americans like to be in a market where there are at least two big players.'" X-MEN: DARK PHOENIX reshoots are reportedly three full months while the original shoot was three and half months (June 28th-October 14th). They're basically reshooting the film folks, not just the ending. It's been a very twisted road that Fox's current (and final) crop of X-Men films has had to travel. 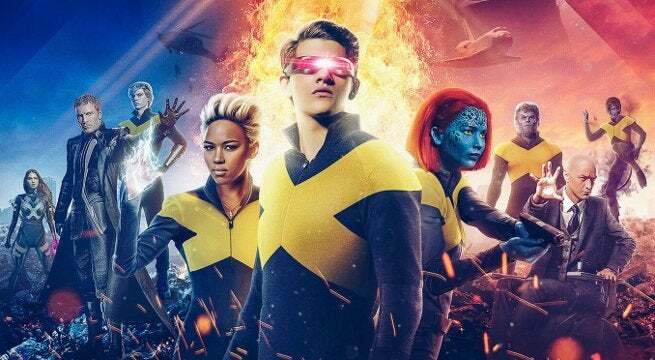 Both The New Mutants and X-Men: Dark Phoenix were knocked out of their original 2018 release slots in order for Fox to "tweak" the films in order to enhance aspects that tested well. However, since that decision, Disney acquired 20th Century Fox's assets, including the entire X-Men franchise. Now anticipation has turned toward having the X-Men finally incorporated into Marvel Cinematic Universe, making Dark Phoenix and New Mutants strange epilogues to a dying franchise. And so, for all the delays and new expenses in reshoots, there's still big question as to whether or not any of it will prove to be worthwhile. Earlier today, the Quebecois newspaper La Presse published a report on the Canadian province's growing film industry, citing 2018 to be a record year. The report contained information on X-Men: Dark Phoenix, which filmed in Quebec and is returning for reshoots. La Presse quoted Pierre Moreau, the CEO of Quebec's film and television bureau, who revealed the news, supposedly claiming reshoots would take three months. But Collider's report is saying that's factually inaccurate, according to sources close to the production of X-Men: Dark Phoenix, and that reshoots will only be taking place for a few weeks. Of course, this is a dramatic change in filming, as the timeline of three weeks is more akin to what takes place in Marvel Studios reshoots, which have become standard operating procedure for tentpole films of this magnitude. Three months, however, is basically the same amount of time as principal photography, and this would mean the movie could be undergoing a massive overhaul. As of now, it sounds like X-Men: Dark Phoenix is still on track for its February release date, and both sources indicate that the reshoots are meant to flesh out and make changes to the film's third act. Whether they're scrapping the ending entirely or just tweaking it remains to be seen, but so far we have two different statements: one on the record from an official of a non-profit organization that oversees film production in the province, and the other from anonymous sources who are actually involved with the production. This is just the latest development in the strange production saga of X-Men: Dark Phoenix, and the film will likely be shrouded in questions and rumors until the film actually premieres in theaters next year. Over the last few weeks, rumors and conflicting reports have cropped up over the status of X-Men: Dark Phoenix. Some have suggested the film has been cancelled, while today saw different claims of the length of reshoots taking place in Quebec over the next month (or three). It seems like director Simon Kinberg has chimed in on the chatter on his Instagram account, posting a behind-the-scenes photograph from the set of X-Men: Dark Phoenix. Take a look below. Kinberg's likely making a knowing jab at all of the outlets for getting in on the fracas, which is a lot less petty than posting a "Keep Calm" poster or K.C. Green's "This Is Fine" dog. Today the rumor mill was ignited when Quebecois newspaper La Presse published a report about the province's film industry, with quotes from the CEO of film and television bureau Pierre Moreau who supposedly revealed that the latest X-Men movie would receive up to three months of reshoots. Considering the initial production schedule was just about three months, alarm bells started ringing with speculation that the movie was getting a major overhaul. But then Collider came out with their own report with anonymous sources close to the production saying that they were just doing two-to-three weeks of reshoots, casting doubt on the news from La Presse. Meanwhile, some people are still insisting the movie is cancelled. If that's the case, someone better tell Kinberg to quit wasting his time (and 20th Century Fox's money) with those reshoots. The rumors will continue to fly up until (and probably beyond) the movie's premiere in theaters, which was delayed from November to February. Star Sophie Turner spoke about the reshoots last month, downplaying the severity and explaining that they were more in line with what's become typical for tentpole films of this magnitude. "I think it's just a few bits and bobs, reshoot-wise," Turner said. "To be honest, I don't even know what we're reshooting at the moment. So I couldn't really tell you much about that one. "All I know is that I'll be back in Montreal at some point soon, and that the Valentine's Day release date is quite a positive thing, because Black Panther got released on Valentine's Day. So we're keeping positive about it." Kodi-Smit McPhee, the actor who played Nightcrawler in X-Men: Apocalypse, is offering a Marvel fans a closer look at the new costume from the film. X-Men: Apocalypse was met with, at best, mixed reactions from fans and critics. But the film did offer something that X-Men fans have been waiting for since the first X-Men movie debuted: classic comic book X-Men costumes on screen. They only appear in the closing seconds of the film, but Smit-McPhee shared to Instagram a behind-the-scenes look at his costume. Take a look at McPhee trying on his Nightcrawler costume below (as captured by Universo X-Men). #XNEWS: O ator Kodi Smit-McPhee [Noturno] postou no seu Instagram algumas fotos que mostram melhor o uniforme que ele usou no final de X-Men: Apocalipse, em 2016. The lifespan of those colorful X-Men costumes may be brief. Smit-McPhee is returning in X-Men: Dark Phoenix, which is set a decade after the events of Apocalypse. Set photos revealed that the X-Men have had another costume change, taking on the black and yellow look from the New X-Men era of the comics. Fans are still waiting for the first official footage from X-Men: Dark Phoenix to be released. So far, the only promotional materials that have been released are a few photos. Some footage did debut privately at the CineEurope trade show, and an online response suggested that the film looked to be shaping better than many had suspected, given how shy 20th Century Fox has been about the movie and the fact that the film has been delayed multiple times. Reshoots are currently underway on X-Men: Dark Phoenix, with new set photos teasing that Sophie Turner's Jean Grey and Jessica Chastain's unnamed character come to blows, which will likely include a heavy dose of CGI assistance. The two performers are clad in motion-capture suits which will allow visual effects teams to add spectacular alterations to the altercation. Knowing Jean's Phoenix powers, we can assume they will be on full display in the bout, though with Chastain's character yet to be confirmed, it's unclear what powers she could be manipulating. The moment captured above might not necessarily be a one-on-one conflict, as other photos feature an appearance by Tye Sheridan's stunt double, confirming that Cyclops will also be involved in the confrontation to some degree. X-Men: Dark Phoenix was originally scheduled to land in theaters this November, though both the X-Men sequel and spin-off film The New Mutants were pushed back to next year, with Dark Phoenix now opening on February 14, 2019 and The New Mutants opening on August 2, 2019. Understandably, news of a film being pushed back by a large chunk of time sounds worrisome to viewers, yet Turner claimed that being delayed by just a few months isn't uncommon for films of this scale. Last year, director Simon Kinberg detailed why the film's initial schedule included such a long post-production time. "I wanted the post time to deliver on the nuance of the visual effects, not just the scale of them. That takes time," the director shared with Entertainment Weekly. As evidenced by the photos above, the delayed release will have to factor in creating even more special effects for the X-Men adventure. Check out X-Men: Dark Phoenix in theaters on February 14, 2019. What do you think about the above photos? Let us know in the comments below!